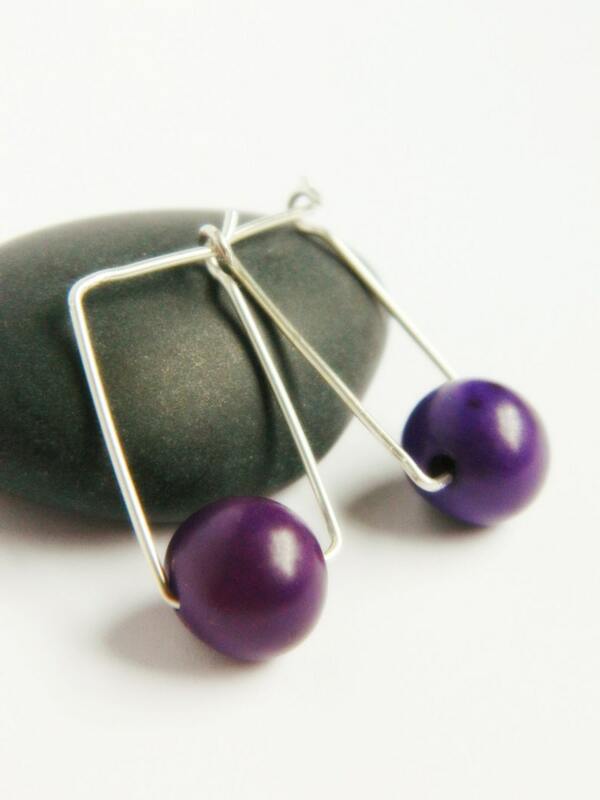 Modern eco-friendly earrings made of Acai seeds in a regal purple. Hand forged small sterling silver rectangle hoops give these earrings a very modern but elegant look. The Acai seeds are from South America and are natural materials. They are very light weight and comfortable to wear. ★ Acai seeds are indigenous to the rain forests of South America. A sustainable and renewable resource that furthers important environmental and socioeconomic goals by stimulating the local economies and micro enterprises in South America, providing an alternative to rain forest destruction. 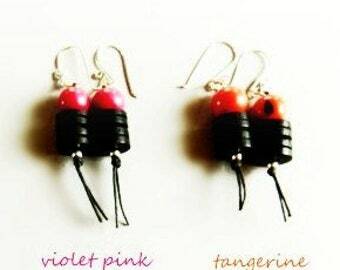 ♥ Your Eco Acai earrings will arrive beautifully wrapped. • I make my hoops by hand from sterling silver wire I obtain from a manufacturer the recycles silver back into raw form. If you need faster priority shipping please contact me before going through checkout.